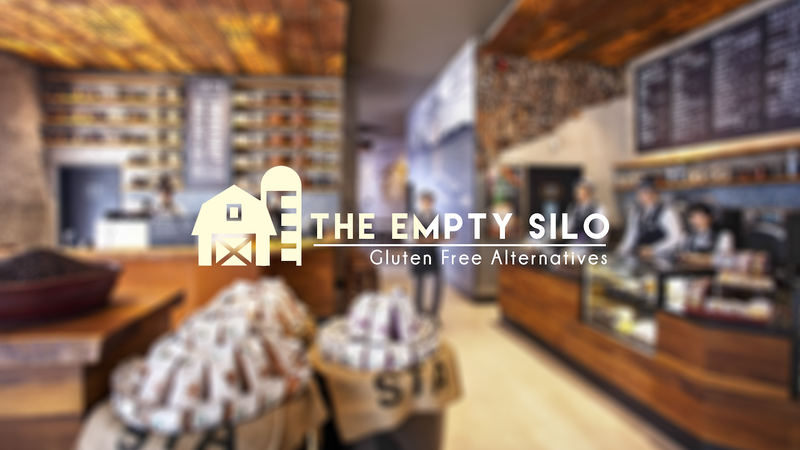 I created The Empty Silo. At the Regional Competition, I scored second place with a score or 92/100. I will be moving on to the states competition in April 2016. The Logo. I created the barn and silo vector in Adobe Flash, then moved it into Photoshop. I used a layer mask for the color change. 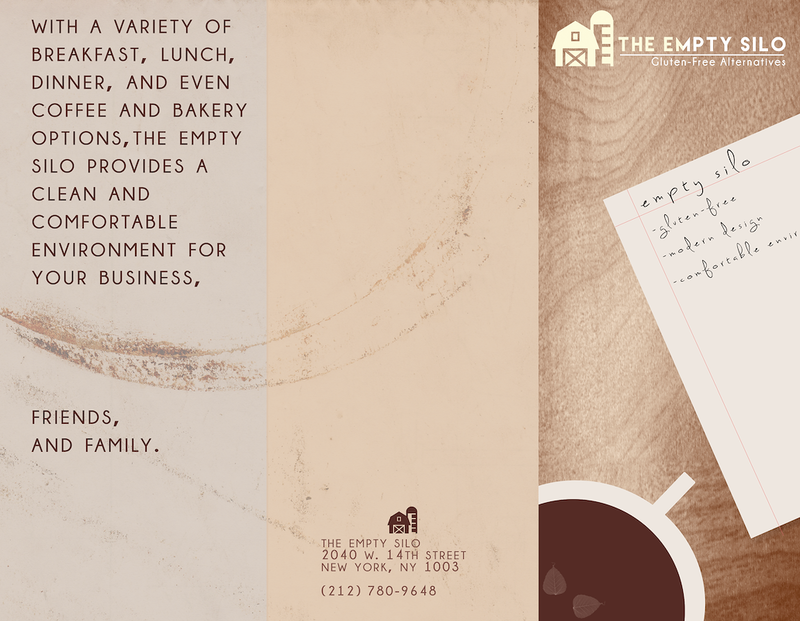 Advertisement poster for The Empty Silo. This was by far the most challenging piece to make. I went to to the local Starbucks and took a picture of the wooden table with a Canon 70D with a mid range lens. 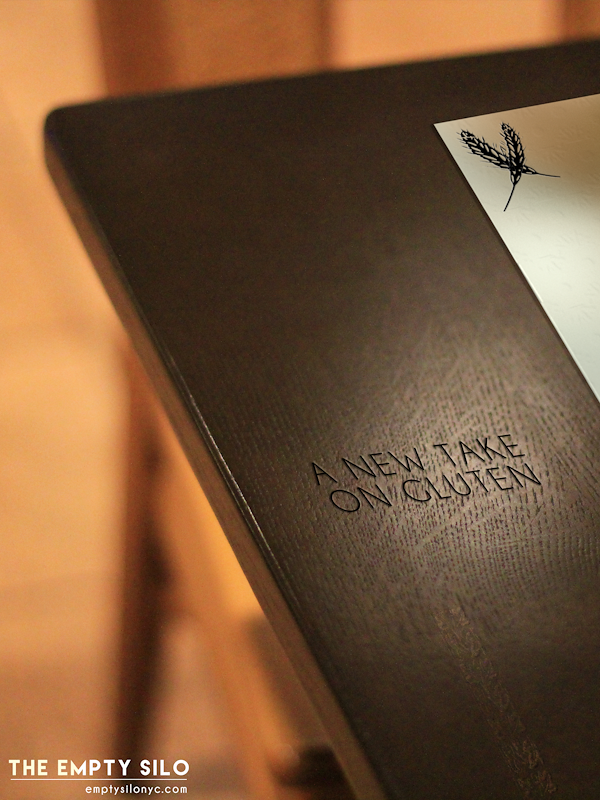 I then created the napkin texture, and embossed the wheat and text. 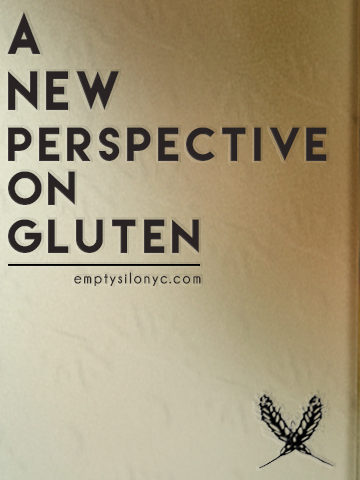 Front of a brochure for The Empty Silo. 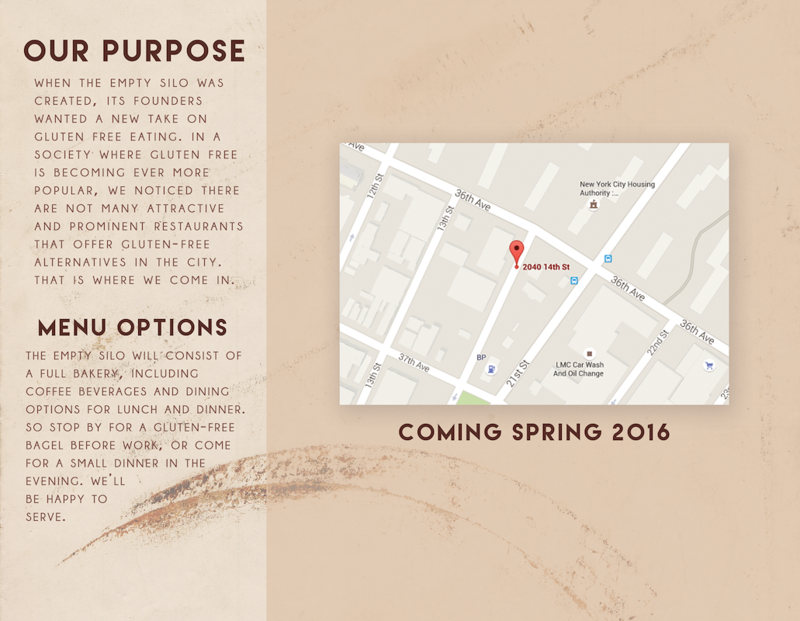 The back of a brochure for The Empty Silo.